Supermodels aren’t just pretty faces for they have indeed earned their fame as they have worked hard to be where they are today. All the success doesn’t come easy and many are unaware of the hard work that is put into achieving supermodel status particularly in the entertainment industry. It is indeed a tough industry to break into especially in this part of the world and that is no secret. However, times have certainly changed and we no longer have to travel to New York or Paris Fashion Week to catch a glimpse of these stunning supermodels as there are many inspiring names in Asia that are associated with supermodel status. Here, Top 10 of Asia takes a look at its list of the Top 10 Supermodels of Asia. It is no surprise that Amber Chia is a popular public figure all across Malaysia with a fabulous career spanning over almost 2 decades. She was one of the first few Asian models to win model searches at an international level. Her continued fame sky rocketed when Victoria Beckham handpicked her to present her collection during the 2009 New York Fashion Week. Chia has been featured in over 200 magazine covers and has taken to the runways in over 6 continents. Not only is she a renowned supermodel, but also a successful entrepreneur with her very own modeling and beauty school, Amber Chia Academy. This beauty, who is a quarter Japanese, graduated from Shih Hsin University and started her career as a model with Catwalk Modeling Agency which provides top marketing expertise in the fashion market. Although she is well known for her lingerie modeling career, Bai has also gained fame for her acting. She starred in hit dramas such as Fated to Love You, Skip Beat and P.S Man, and even acted alongside Korean megastars Choi Siwon and Lee Donghae. In 2016, she gave birth to a baby boy. Kickstarting her modeling career as a young teenager at the age of 14 in Japan, Okamoto moved to Paris to gain more of an international exposure. Not long after that, she started gracing European runways and made a name for herself, being one of the few Asian models in Europe at that time. She has indeed come a long way, walking for top prestigious brands that include Chanel, Dolce & Gabana, Louis Vuitton, Ralph Lauren and more. She has won several honors including ‘Model of the Year’ from Japan Fashion Editor’s Club and is one of the most successful models to come from Japan. Growing up watching videos of her model aunt walking runways, she was never confident that she would be beautiful enough to follow in her footsteps although she wanted to. However, after being discovered by a model talent scout at a wedding when she was a teenager, Sim has now become one of the top supermodels in Singapore. She has worked for top international labels such as Calvin Klein, Donna Karran, Giorgio Armani and Vera Wang. Sim, also known as ‘Singapore’s Golden Girl’ has also been the face of Audi Fashion Festival for 3 years in a row and is the only Singaporean ambassador of international beauty brand, SK-II. This Filipina beauty not only won the International Ford’s Supermodel of the World 2011 title, but also bagged an international modeling contact worth half a million dollars. She was the first ever Filipina to have won the prestigious title. Modeling runs in the family as she is the daughter of former supermodel Milagros Flores. Magpantay began modeling not too long ago and debuted her runway skills during the Philippine Fashion Week. Being represented by Talentman, she was also chosen to represent her country in an international catwalk in New York. She still has big dreams and goals to accomplish as she aims to one day become a Victoria’s Secret model. 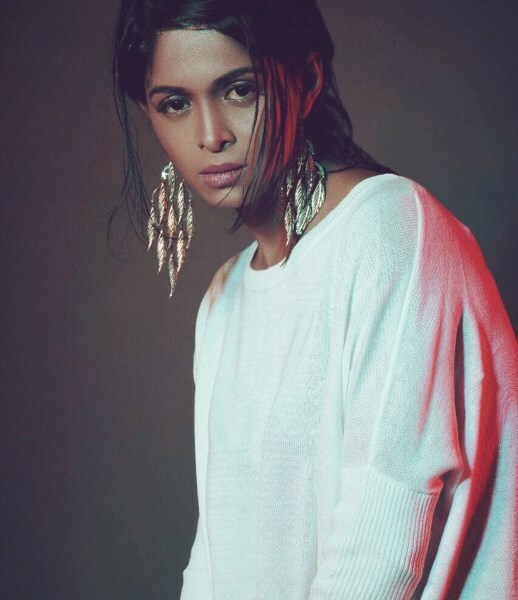 Born in Chennai to an Indo-Sri Lankan father and Australian Sri Lankan mother, international supermodel Haydon is known for her appearance at Lakme Fashion Week, the number 1 fashion show in India. While studying psychology in college, she pursued modeling to earn some income to pay for school and rent. She modeled in Australia and moved back to India to continue her career there. She has been the cover girl for major fashion magazines such as Harper’s Bazaar, FHM and even Elle. Known for her immaculate style, Haydon is always the first choice for major local fashion awards. Besides modeling, she is also a fashion designer, collaborating with lifestyle brand, Sher Singh. As one of the most popular fashion personalities in Asia, Lok’s every move is covered by glossy magazines. Born in Macau but raised in the United States, she was scouted at the age of 18. Since then, her career moved steadily skyward. She has worked for prestigious brands all around the world including Fendi, Bvlgari, Celine and Marc Jacobs. Her evolution as a fashion model has also been well documented in hundreds of magazine articles and covers such as Marie Claire and Elle. A perfect example of beauty with brains, she used her intelligence to further her education, taking up Art History and Fine Arts. Liu Wen is a household name in the modeling industry. With over 3 million followers on Instagram, she definitely has a large following and American Vogue has remarked that she had the ‘biggest social media influence of any model’. She was the first model to walk the Victoria’s Secret Fashion Show and the first Asian model to ever make Forbes’ annual highest-paid models list. Her life certainly took an unexpected turn as she originally wanted to work as a tour guide, but her mother encouraged her to pursue modeling which then sparked her interest. Not long ago, she reached another milestone when she became the first Chinese model to appear on the cover of American Vogue alongside superstars Kendall Jenner, Gigi Hadid, Adwoa Aboah, Ashley Graham, Imaan Hammam and Vittoria Ceretti. Being only the second Chinese model to walk for Victoria Secret’s Fashion Show was a huge accomplishment for Sui He and she has come a long way since she won a Chinese modeling contest at the age of 17. Ranked as one of the Top 10 Models Women List by models.com, her big breakthrough came when she opened for the Ralph Lauren runway show. After her success that year, she was named one of the top new comers and top faces in the industry. She is also the first Asian global spokesmodel for Shiseido, a multinational personal care company.